With new capabilities and equipment, Benchmark Foam now offers 3D foam models, made with its expanded polystyrene (EPS), for various occasions. While early models were mostly scaled down for ease-of-use, we recently created a 3D panel for a construction company that was looking for a model of a sound dampening panel that was specified for the South Dakota State University Performing Arts Center expansion project. The 30″ x 30″ x 6” panel was produced to size, but could also be produced in scaled down versions. Whether for a structure, bridge or a simple accent or accessory piece, architectural samples can be created using 3D foam models. 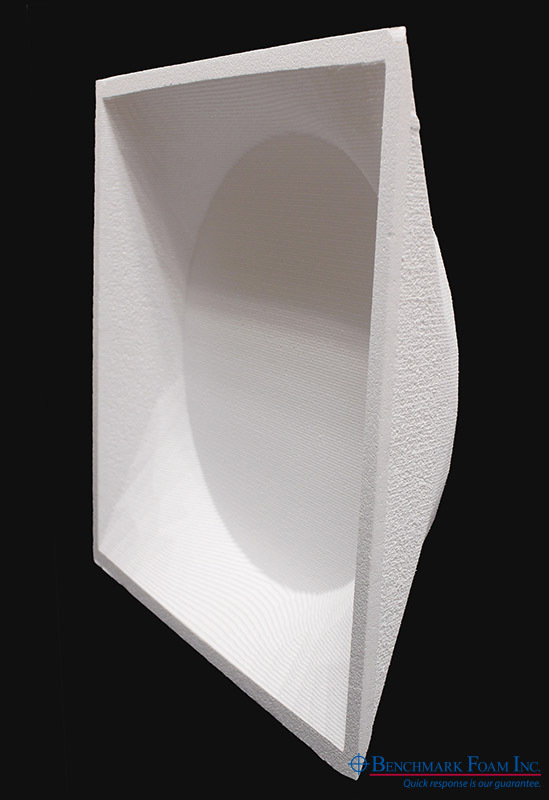 To learn more about 3D EPS foam models from Benchmark Foam, contact our team at 800-658-3444 or epsinfo@benchmarkfoam.com.